Integrating a new front and rear aesthetic with Lotus’ established design language, this latest Elise also receives a wide range of cabin enhancements - including the lightweight open-gate gear select mechanism first introduced on the Lotus Exige Sport 350. The Sprint is available in both the 1.6-litre naturally aspirated and 1.8-litre supercharged versions. The Sprint’s standard lightweight components include a Lithium-Ion battery (saving 9 kg), Lotus’ beautifully detailed carbon race seats (saving 6 kg), new lightweight forged alloy wheels (saving 5 kg), while the carbon access panel, roll hoop cover and engine cover, and polycarbonate rear screen saves 6 kg. Collectively, they cut an impressive 26 kg, compared to the previous Sport and Sport 220 models, and together with the improvements made to the whole Elise range bring the weight of the new Elise Sprint down to just 798 kg (dry). Also included are optional two-piece brake discs (saving 4 kg), which will be available from May this year and optional carbon sill covers (-0.8 kg). 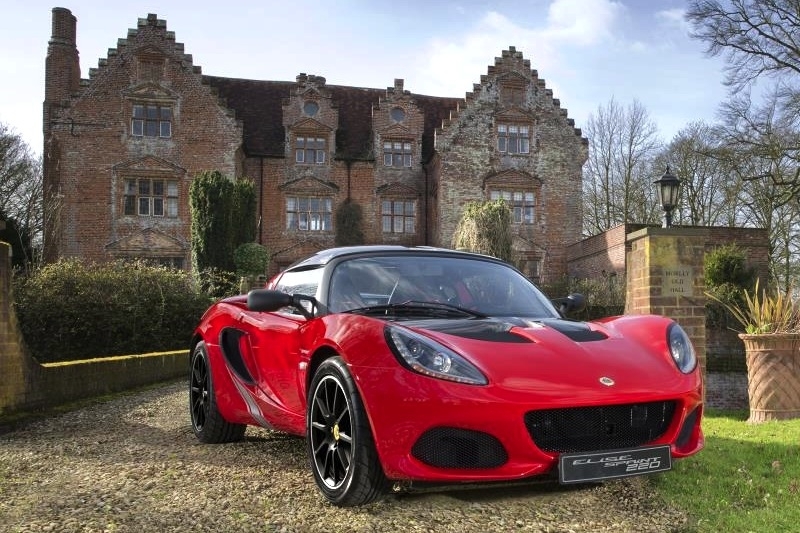 This reduction in weight translates into quicker acceleration (with 0-100 km/h in 5.9 seconds and 4.1 seconds for the Elise Sprint and Elise Sprint 220 respectively), harder cornering and a power to weight ratio of up to 168 hp / tonne (Elise Sprint) and 257 hp / tonne (Elise Sprint 220). 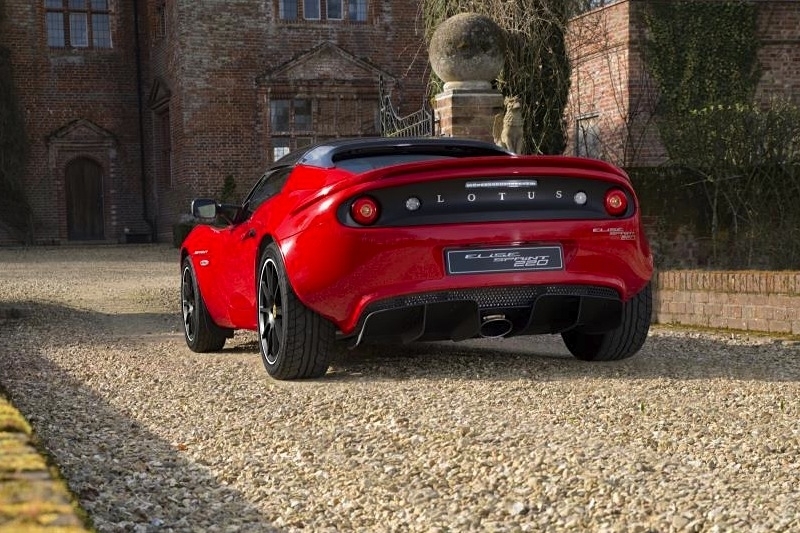 Then to provide the perfect soundtrack at any speed, the new exhaust makes the 1.8-litre supercharged Elise the best-sounding 4-cylinder car on the market. 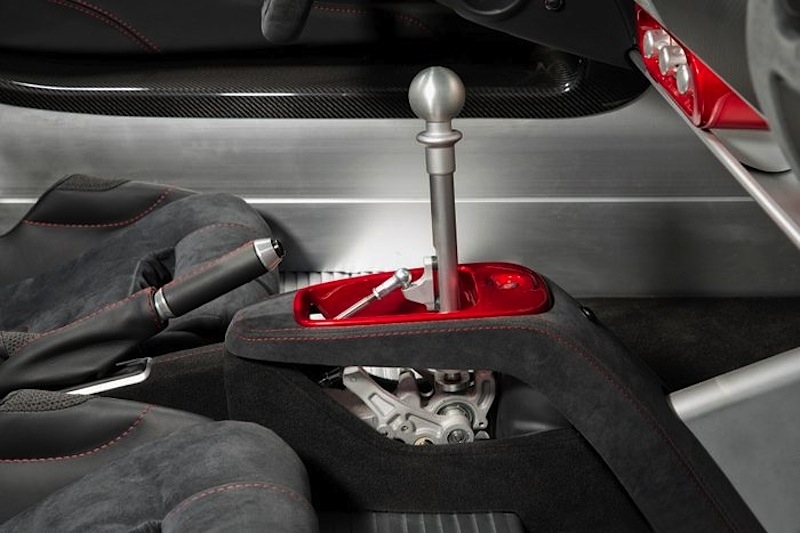 In addition to injecting some visual drama into the new Elise’s cabin, Lotus’ beautifully detailed open-gate manual gearbox also provides a much more positive and direct operation, giving more precise and quicker shift action. The new Elise also carries over the same suspension setup as before, with fully independent double wishbone suspension and a front anti-roll bar, coupled with Bilstein high-performance gas dampers and Eibach coaxial coil springs front and rear. 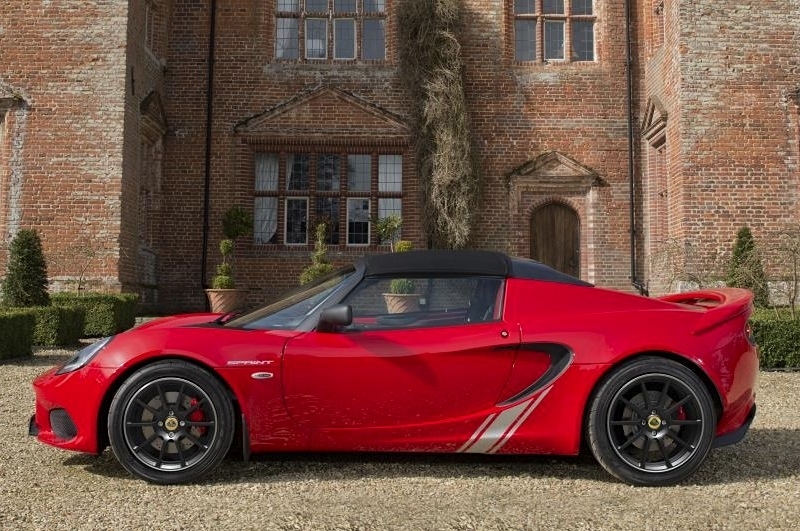 Being lighter than the preceding model, the effective spring rate is marginally increased, retaining the compliant ride for which all Lotus cars are renowned for. Deliveries will begin in April.